15 complete and accurate patterns in multiple sizes, beautiful pieced borders gracing every quilt, 300 color diagrams, 175 gorgeous photos. An in-depth discussion of color and value with lots of photographs and way to test your seam allowance and a way to then make it perfect diagrams showing which direction to press the seam allowances. 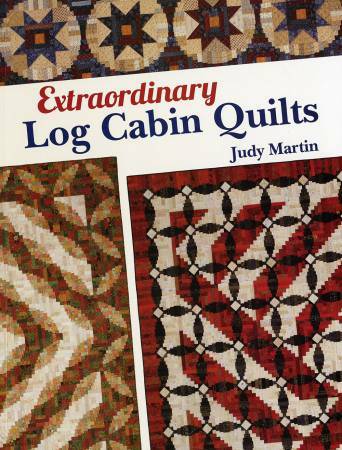 Lots of tips and techniques for making Log Cabin quilts. A method for keeping track of logs of varying lengths.